Investments that Grow – When you put money into a savings account, 401k, the stock market, CDs or other investment vehicles you expect a return on your investment right? You know there is a risk, however you allow yourself to believe that the return will offset the return. You will be able to actually see the fruit of your investment labor when it’s all finished. The same holds true about investing in yourself. Having money in one pot with no growth vehicle keeps it safe (we think) but it’s stuck there sitting stagnant. It never gets any better and if the value of the dollar changes it may get worse. When you don’t invest in yourself you become stuck and stagnant. Things that once fulfilled you often don’t anymore. Things you once dreamed to do sit on the back burner, become half finished or don’t end up with the result that gives you the feeling you thought they would. Investing in yourself helps you grow to heights you sometimes didn’t realize you could reach because of fear, lack of support or unclear paths due to past experiences. Accountability – How many times have you made a new year resolution or decided you’d do something new and after a few days, a month or more you quit? What’s the excuse…I didn’t really want to do that or I wasn’t that invested? Look! Change is hard!!! Without someone to be there with you who is invested in your success going solo isn’t the easiest thing. Maybe you’ve gone solo in a lot of areas of life but there is usually at least one or two that the solo gig just isn’t working and you need someone there celebrating the baby steps and helping you push through the harder steps. No Judgments Boo – When we look to people we know personally to help us through change, we often times don’t show our whole selves. The whole self can be scary to face and we usually want to seem like we’re still in control even when life has scared the sh*t out of us. Coaches don’t care to judge you because they are too busy working their butts off to help you make it to your goals. They are invested and if you’ve ever had one who was not, they are not a real coach! Money and Reputations – Hiring a coach is like hiring another contractor. You expect a certain level of service for what you pay. You expect to get some stuff done without being judged and learn new ways to do things that kept you stuck before. Because you are actually paying a coach, they have a lot to lose if they aren’t really invested in helping you. They will lose not only your money but face the potential for ruining their reputation for not doing their jobs properly. Coaches know bad news travels fast and even faster when you’ve wasted your money on a coach. Good coaches help you spell out your goals early and let you know up front what their style is, how qualified they are and usually have some great valid references. Experience Matters – When you finally get to the point you realize it’s time for a coach, you don’t want the neighborhood advice giver to be the one to help you out. You want a qualified person who knows their stuff. Coaches that make coaching their life spend a great deal of time on continuing education to ensure they can help you. They also know enough to know they too can have their own coaches for various areas of what they do because they have to stay on their A game to be the best accountability partner for you. Happiness is Key – Life is short and we know it. We say it a lot but don’t always subscribe that mindset. To put it into perspective, think of how old you are today. Doesn’t it seem like yesterday you were a kid, teen, new parent, new bride/husband, new employee etc? Time waits for no one and you can think you’ve got time but why waste the days you have being unhappy, unfulfilled, unsuccessful or simply just searching for more. Life is meant to be lived and to be lived as happily as we can live it. 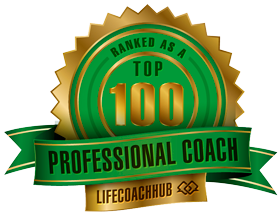 Coaches help you figure out how to reach your goals, dreams and desires so you can live a life you enjoy. Celebrity Style – Ok, this one is a little vein. Have you ever seen someone with a personal trainer, personal chef, personal stylist, personal assistant and so on? It seems like a status symbol of sorts when people have people who cater to them personally. Now I know not all people are into status symbols but think of the way a personal coach can be looked at. You hire them because you care enough about your life so that they can personally make sure to help you , listen to you and work with you to make what YOU want happen. They are personally invested in YOU!!!!!! Their whole job is focused on helping your reach the goals you set. You get to set the tone for how things go and they help you do it. Now that’s status and success all wrapped up in one. Just remember that no one person can do and be everything. Though we like to think we are superheros, we aren’t. WE are humans doing the best we can every day. No matter how educated or financially well off we are though, we can all get stuck from time to time. Your coach is your way to get through that if you feel compelled enough to invest in yourself. When your desire for change becomes bigger than your desire to stay in the same rut, you’ll make a decision. Goals change often because life changes often. When goals change, we change and when we change life changes. That my friend, is why you need a real coach.